Apple cider vinegar (ACV) and I have a pretty solid relationship. It’s always there when I need it; it is healing and supportive, and doesn’t get jealous when I love on other vinegars. Apple cider vinegar does just that. When referring to ACV, assume that I mean the raw, unfiltered vinegar with the ‘Mother’ included. Well, yes, my mother can be a bit raw and unfiltered at times; sorry, Mom :), but what I mean to say by ‘Mother’ is the by-product of the creation process in which the vinegar is made. The ‘Mother’ is made up of strand-like enzymes of connected protein molecules with living nutrients and bacteria. 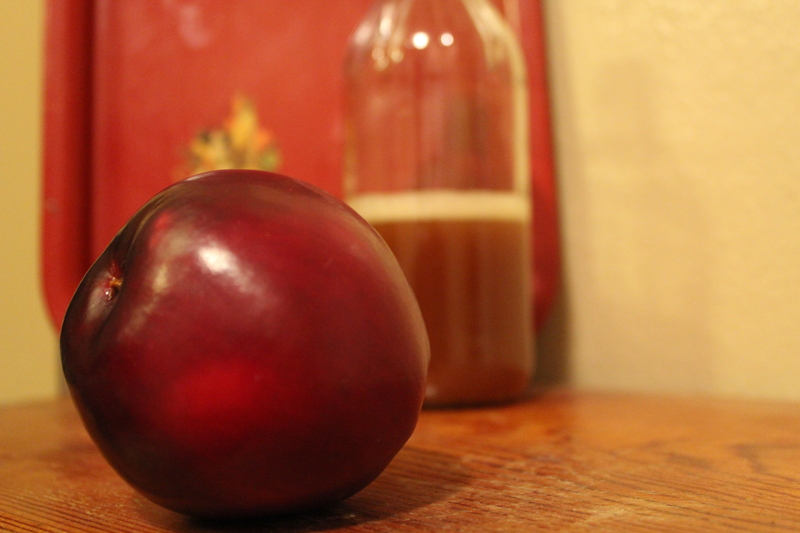 If you are familiar with the ‘Mother’ in the kombucha creation process, it is similar to that. And, just like all mothers and their babies, the ‘Mother’ in the ACV is what makes it so special! A reliable and very well respected brand for raw ACV is Bragg’s . It’s organic, high quality, trusted and affordable. The only brand of ACV I buy. ACV has taken Hollywood by storm. Not that I care, but the populous might, so it’s of mention that Madonna, Oprah, Tosca Reno, Clint Eastwood, Tom Selleck and many other health conscious celebrities use ACV to stay fresh as a daisy and healthy as an ox. What I do appreciate about this news though is that the folks who have bajillions of dollars choose to spend mere pennies (to them) on an old-fashioned food that promotes health and healing. When they could be buying million dollar retinol cream for their youthful glow, they choose to buy ACV instead… All may not be lost after all, eh? 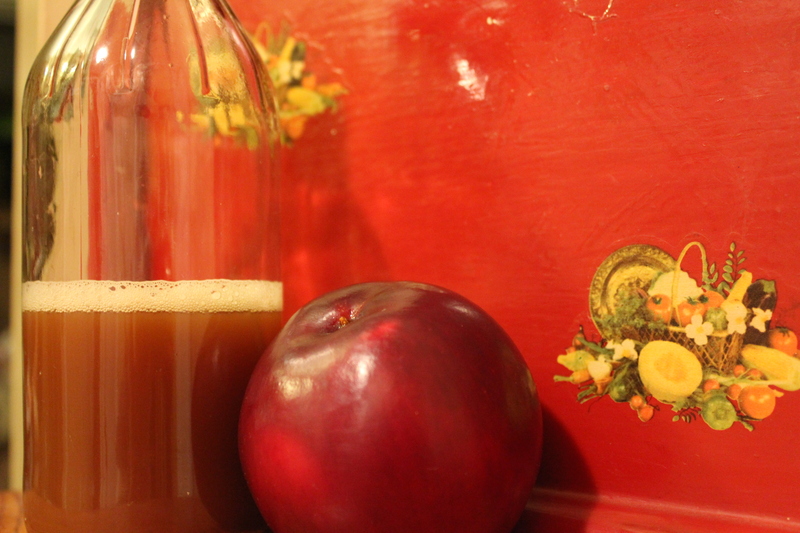 ACV is easy to take, though some may be offended by the taste. It is most commonly recommended that 2T of ACV is added to a glass of water and is drank once, and up to three times per day. Some people who are not fond of the flavor add a bit of juice, stevia or honey to the mix, but in my opinion, adding raw honey would be the best choice because you then receive the healing benefits of honey along with the healing benefits of the apple cider vinegar. Rich in acetic acid, which slows the digestion of starches and helps to regulate the glucose spike which commonly occurs after meals. Rich in potassium, a key mineral to the body that helps the body grow, build muscle, transmit nerve impulses, and maintain a healthy heart. Potassium also helps to beat fatigue. Rich in ash, which gives ACV it’s alkaline property. ACV can help to restore proper pH in the body. Rich in malic acid, which is what gives ACV it’s anti- fungal/bacterial/viral properties. The amino acids in ACV help the body clear lactic acid that causes fatigue and muscle cramping, and can build up after a workout or extreme stress. Aids in maintaining a healthy weight. When used as a hair rinse, it can detangle, condition and deep clean hair. It also contributes to shine, by closing the cuticle of the hair, making light reflect off it. Apply to hair in equal parts of water and vinegar and rinse. Improves the health of your skin by balancing the pH, reducing redness and blemishes and softening through locking in moisture. Use as a balancing toner in a solution of one part vinegar to two parts water, or for all over softness, add to your bath water. A key ingredient in a holistic pet care regimen, it prevents fleas and ticks, improves coat, and heals skin conditions, and arthritis, removes pet odors–including skunk, and can even increase fertility in dogs! (As always, consult your veterinarian first before using this remedy). Helps heal eczema with internal and external applications. *As always, the Author is not a doctor, nor is she a butcher, or baker, or candlestick maker, and encourages you to do your own research on topics of interest to you. Remedies suggested are not a substitute for professional medical advice. I’m pretty sure you just convinced me to start a daily regimen of ACV!! Thanks for helping me be healthy! Awesome. Thanks for the info! Fascinating to hear about the potassium and also the muscle easing properties in it! I’ve heard about it having health benefits but wondered what they were specifically. I’m not sure I can stomach it but I might have to give it a try! Thanks for posting. Good Post ! My dad was a bee keeper and he always made me a cough syrup in a 1 quart bottle consisting of 1/4 ACV, 1/4 lemon juice, 1/4 honey and 1/4 hot water. 4 drinks a day of that for a day or two and my cold and fever vanished. This is a really educational blog. I put you in my Favorites ! Found you on Wildcrafting Wednesdays. Thanks for sharing your recipe! We keep bees also, so I will have to try that recipe out. Thanks for adding me to your favorites, and I’m on my way to check out your digs 🙂 A herd and a flock, I’m jealous! I can also attest to ACV getting rid of warts! My daughter had a horrible case and nothing was working. 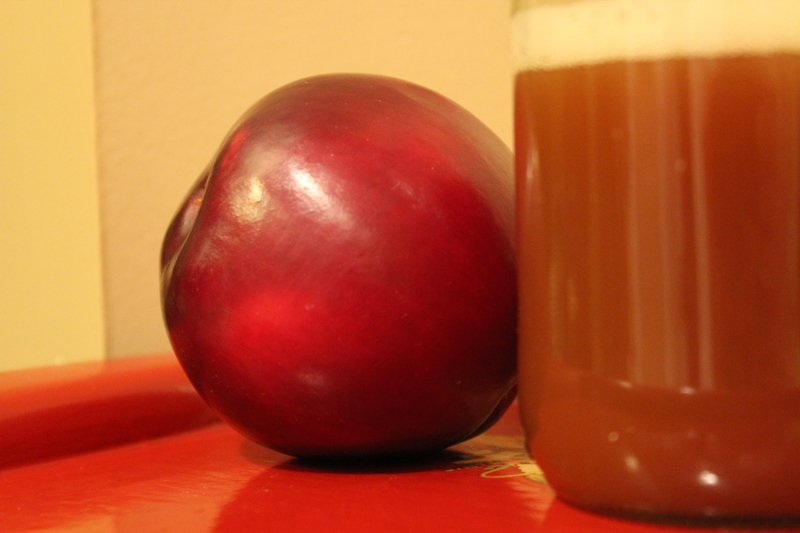 I heard about using ACV topically, so we tried it. It worked! You can’t even tell now, and her precious hands were covered for about two years. What a blessing! I love your writing style, and like you, I’m a big fan of both vinegars. White is my main cleaning product, and I love ACV baths. I may smell like a pickle when I get out, but I feel soooo good, inside and out. I love ACV with sparkling water and some liquid stevia…but I think I need to try it with honey now!